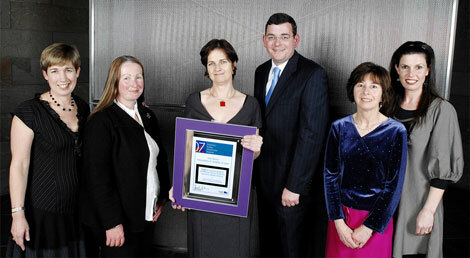 In September 2007 BreaCan was thrilled to receive its first Victorian Public Healthcare Award. The annual awards recognise the initiative, expertise and dedication of service providers across the state. Over 220 entries, representing the best in Victoria's healthcare system, were nominated across 10 categories in 2007. BreaCan was awarded top spot in it's category; Innovation in models of care. This category recognises services that look outside the square, the ones who strive to meet the needs of their users and are flexible and diverse enough to do so. The judges looked to recognise services that work effectively in partnerships. BreaCan has long maintained a commitment to forming and developing strong links with the healthcare professionals to provide collaborative support.